Tucked away in Philadelphia's Historic District lies an old and rare treasure: Elfreth's Alley . A peaceful, narrow, cobblestone street, Elfreth's Alley is one of the oldest continuously-inhabited streets in the United States. Dating back to 1702, this National Historic Landmark is graced with beautiful, historic row houses (Philadelphia is renowned for its row houses), enhanced with artfully-planted container gardens, and even a few small in-ground gardens. One house, serving as a museum, is open to the public. 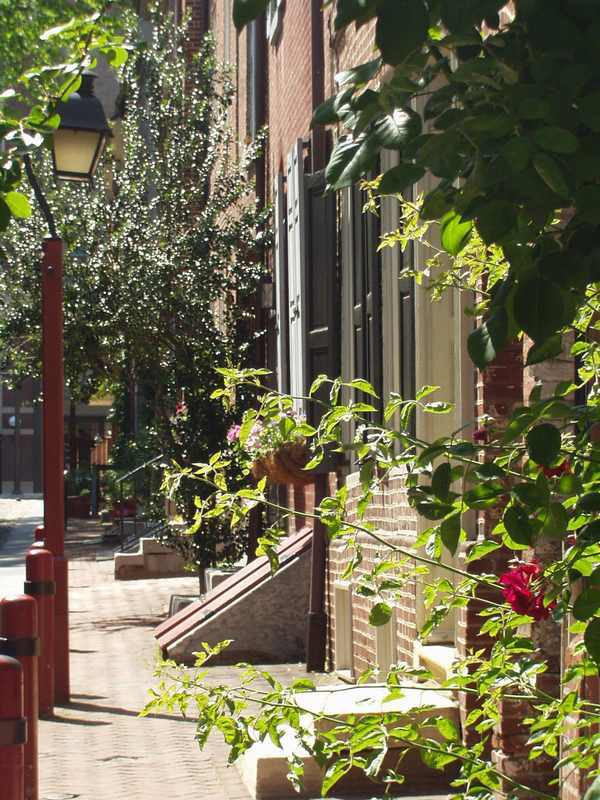 A place of extraordinary peace and a fascinating sense of history, Elfreth's Alley is a carefully-preserved haven and a unique treat for visitors who love history, architecture, gardens, or just a nice, quiet place to linger and admire.